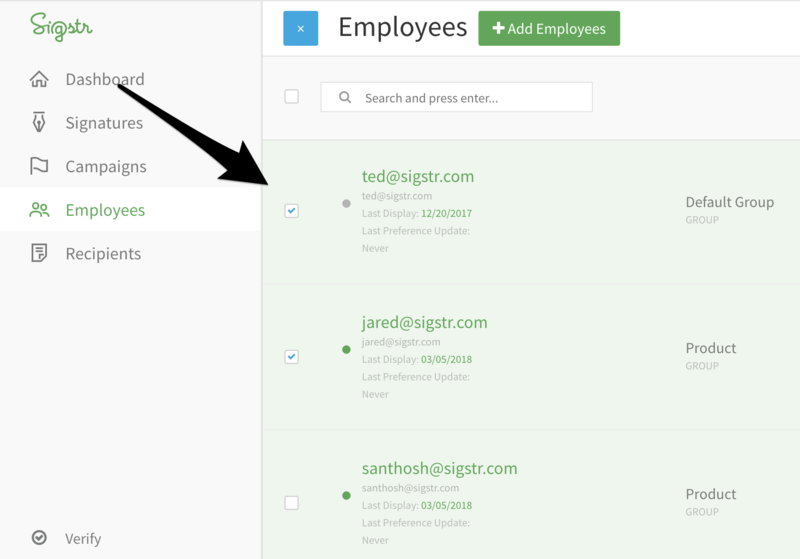 If you are ready to launch your newly created Sigstr signature and campaign, you can automate the entire process via Outlook Agent, Sigstr’s G Suite Integration, or Sigstr ONE. Alternatively, you can ask users to manually install. Before moving forward with any option, make sure that you have already created your signature template, created a signature campaign, added employees to your account, and created groups. To invite users to install manually, follow the step outlined below. 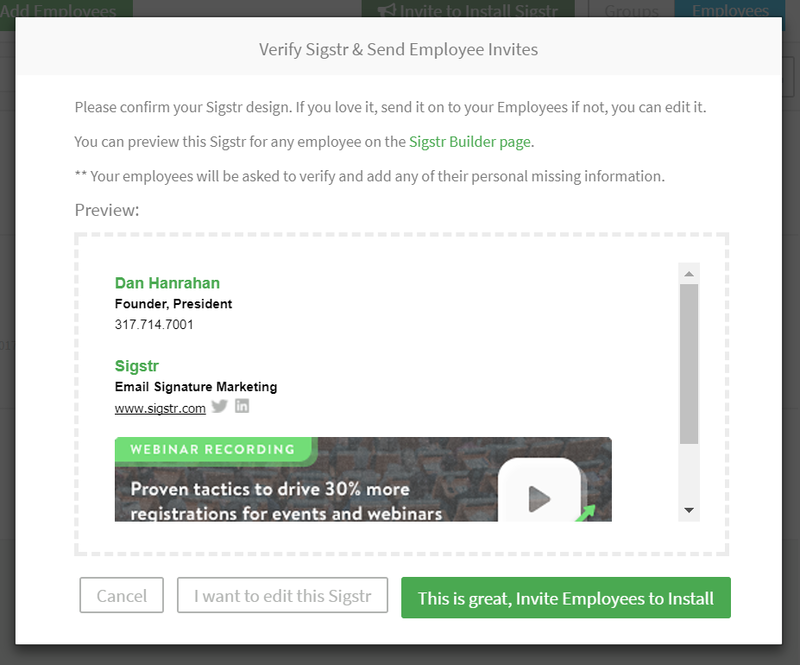 Select the employees you would like to install Sigstr. 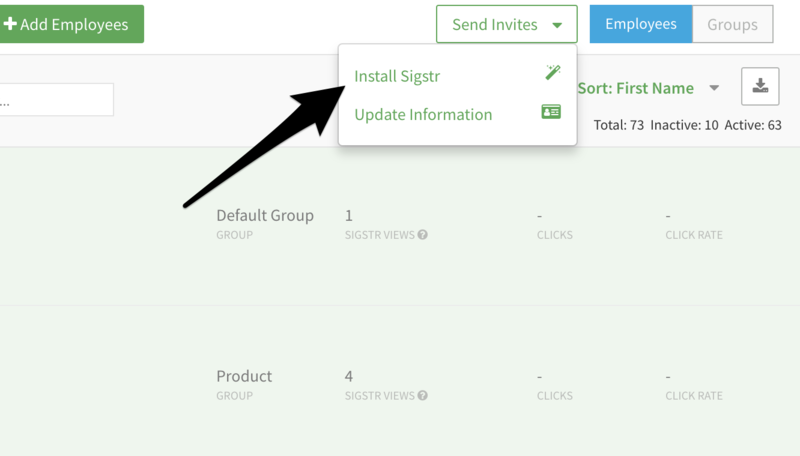 Use the Send Invites dropdown to select Install Sigstr. Provide final confirmation of the signature design and invite users to install!